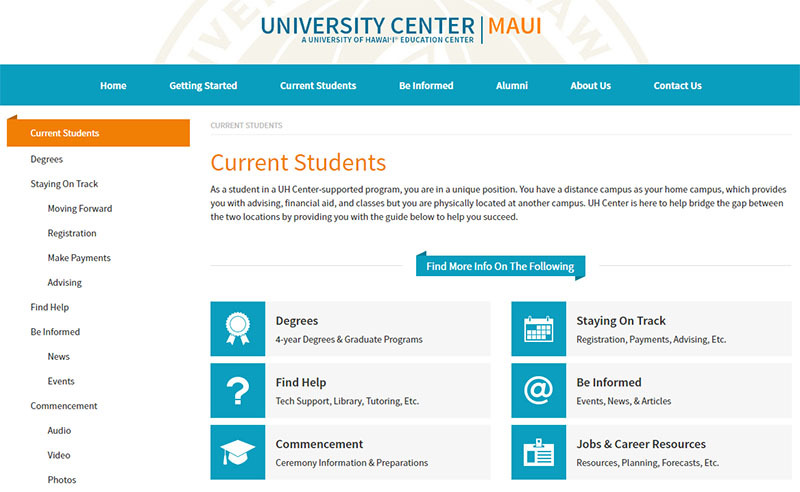 The University of Hawaii, University Center Maui needed a way to more effectively communicate to key target audiences. It was essential to engage and excite potential students in new branding and messaging that matched the services and programs of UCM, while providing resources and information for existing students, staff and alumni. We recommended development of a new branding, logo design, content and messaging strategy to integrate into a new web design and user experience design. The website would include key messaging, simpler streamlined navigation appropriate to each audience while integrating interactive tools to provide engagement and capture prospective student contact information. The web design along with new logo design, branding and messaging have been a success in attracting new students and providing streamlined access to resources for other target audiences. 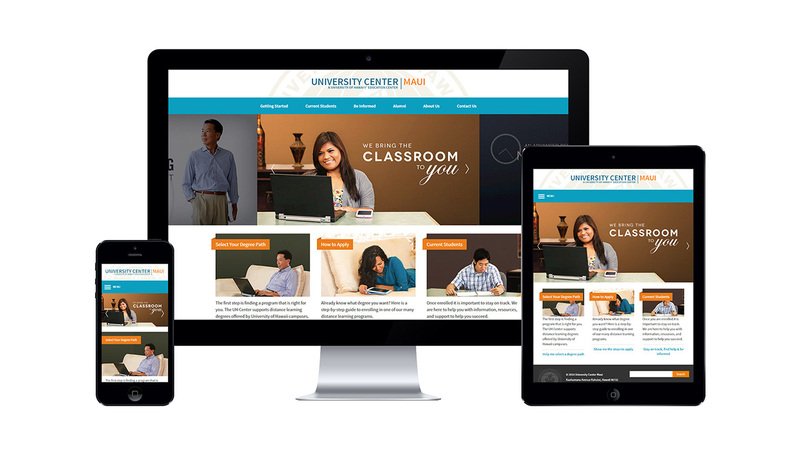 The site allows UCM the ability to capture new prospective student information, allowing them to connect earlier and engage to support new enrollments.